There are two ways to do colour changes, which one you want to do depends on where the colour change is. A regular colour change is best for vertical colour changes – i.e. stripes that go up and down and need a straight edge. 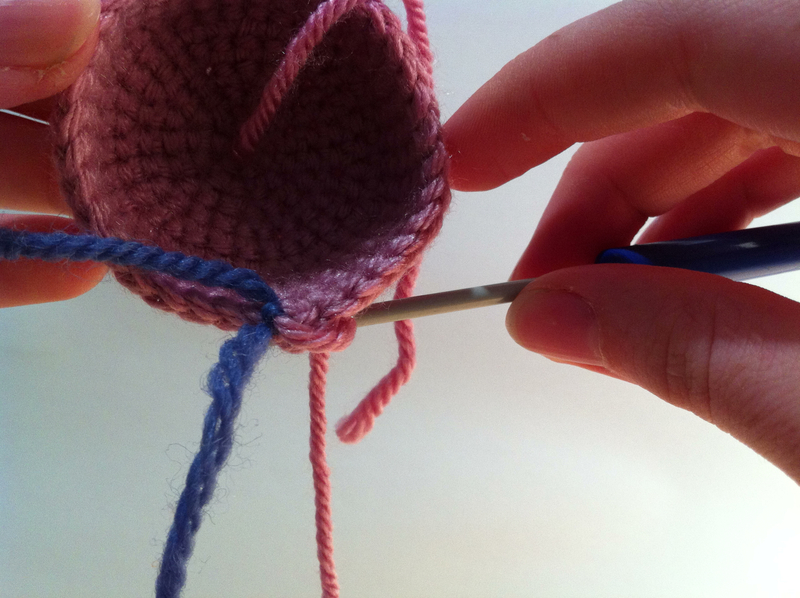 A slip stitch colour change is best for horizontal colour changes – i.e. stripes that go side to side and when you want the change to be a little smoother and subtle. For both of these colour changes, the process starts on the stitch before the new colour. e.g. from red to blue. On the last stitch in the old colour (red), start doing a single crochet. Insert, yarn over, pull through. 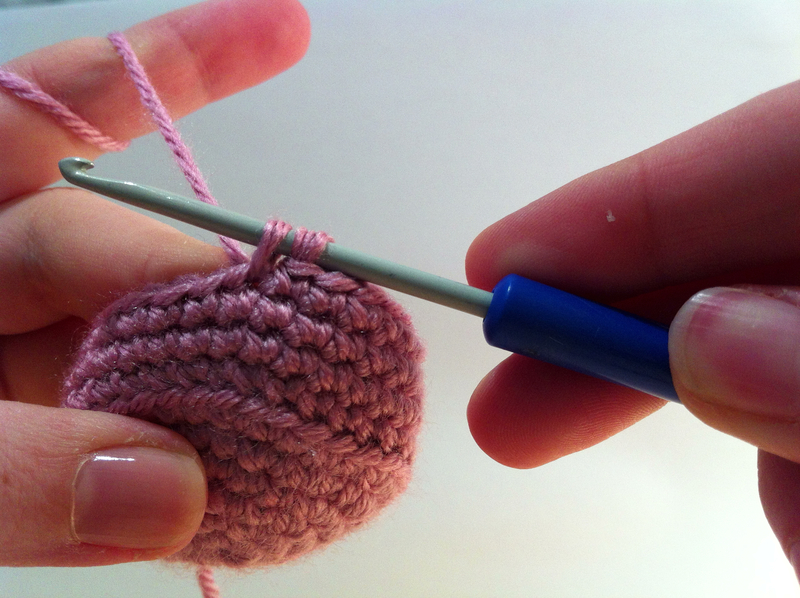 When you have two loops on your hook, stop before finishing the stitch. You want to finish the stitch in the new colour (blue). Yarn over using the blue. 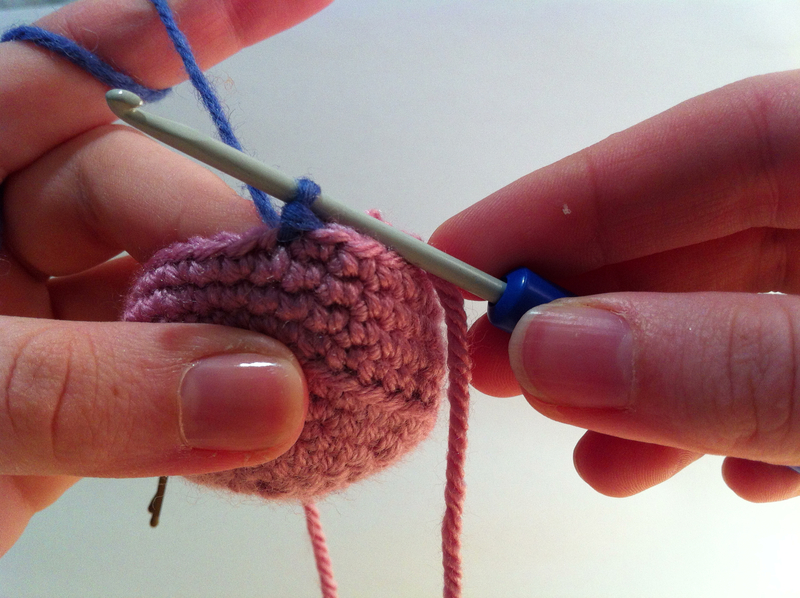 Pull the second colour yarn through both loops on the hook. At this point, I like to cut the first colour (red) and tie the two ends together with a knot. This helps give a tighter stitch and a neater colour change. 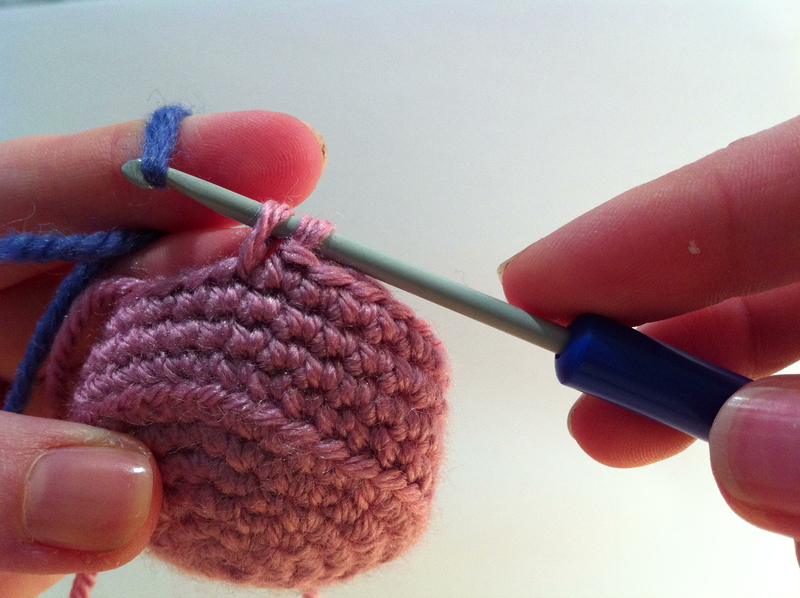 Now, complete a slip stitch in the blue – by making the first stitch of the new colour a slip stitch, it will make the colour change a little smoother when you get to the next row. Continue as normal in the new colour! 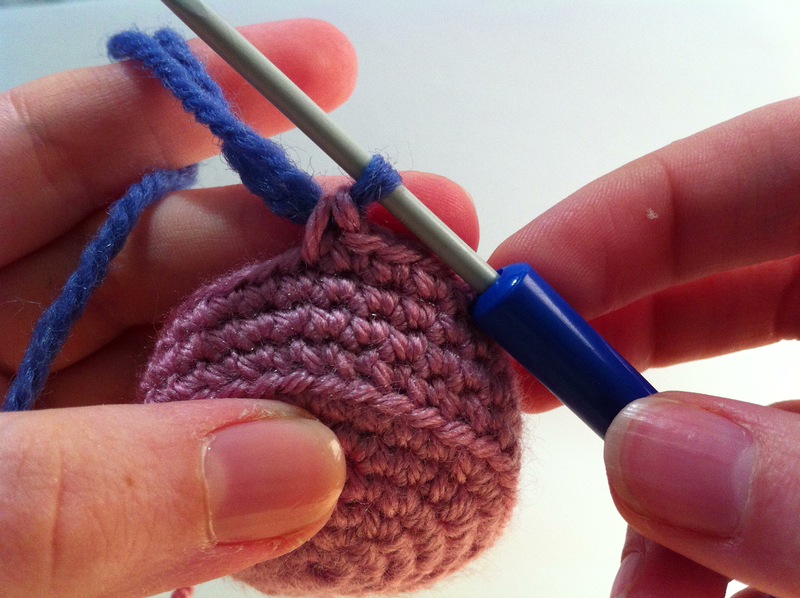 A vertical colour change has the same first few steps, but instead of doing a slip stitch, you’ll complete a regular single crochet. 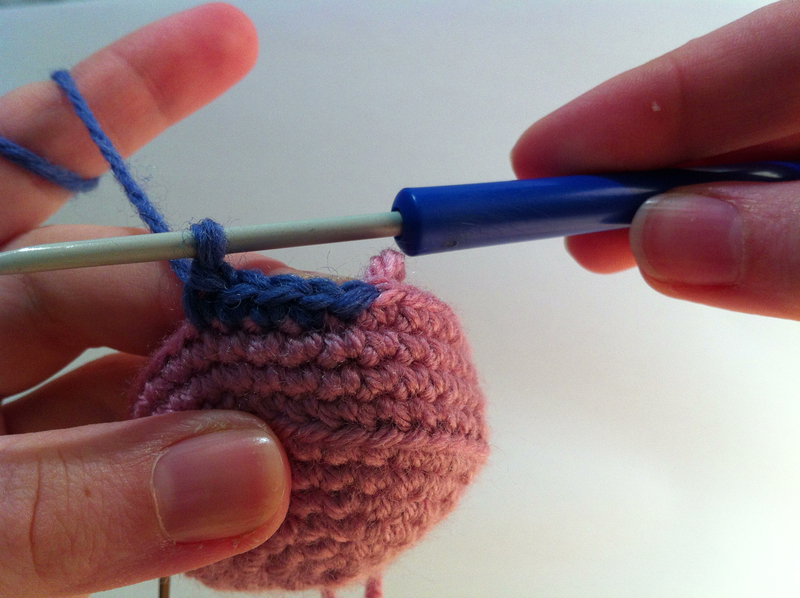 It’s extra important to tie the colours together at the back for a vertical colour change – amigurumi worked in continuous rounds tends to twist in one direction depending on whether you’re left or right handed. One way to avoid this is by using joined rounds, but tying a knot at the back of colour changes can also help a lot.